They’re here! 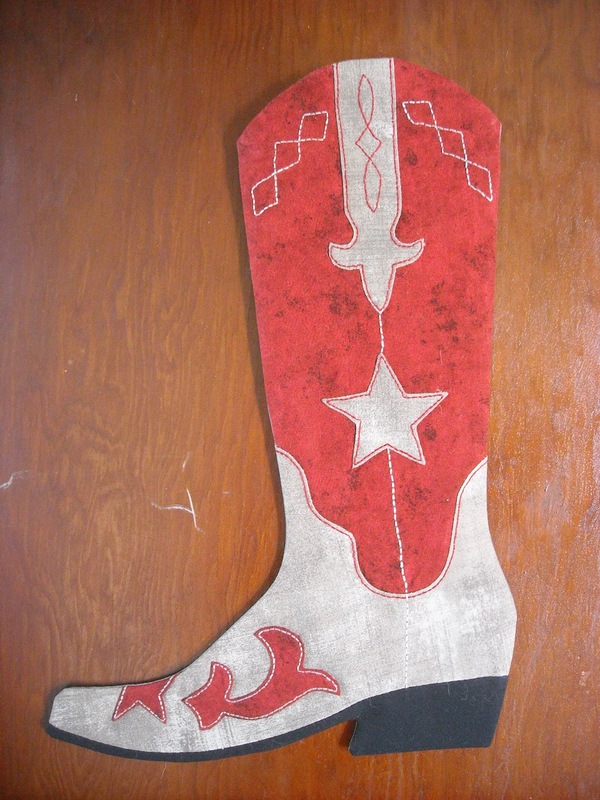 The 2015 and 2016 Prairie Moon Ranch Cowboy Christmas Stockings!!! I missed getting last year’s stocking pattern out, so I decided to just combine it with this year’s into one pattern, so you get both stockings in one pattern this time! Kate is inspired by the Old Gringo “Sora” boots, with some very detailed embroidery, so if you love hand stitching, this is the boot stocking for you! Since the 2015 stocking is for the ladies, I made this year’s stocking for the guys, a nice weathered-looking boot with very simple appliqué and a touch of embroidery. 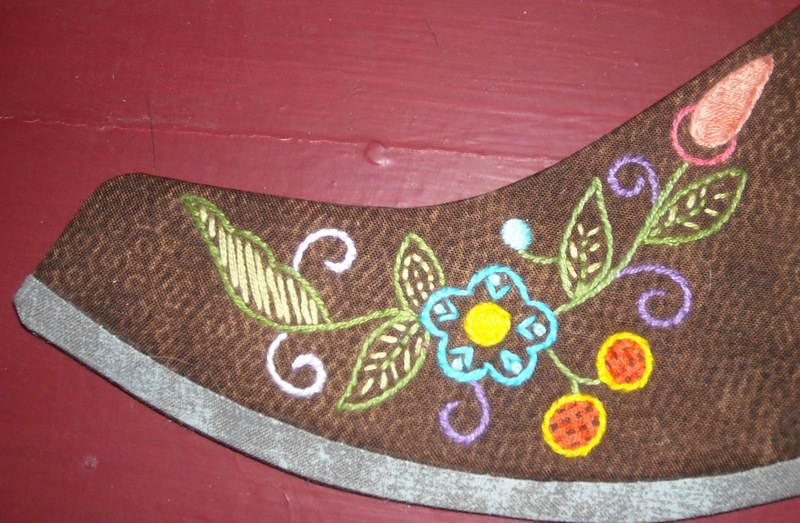 They each measure 15 1/2″ tall, 10 1/2″ from heel to toe, and 5 1/2″ wide at the top. They’re both the same shape, just different designs! I know it’s awful close to Christmas, and you probably already have this year’s stockings hung from the mantle, but if you’ve been collecting the annual cowboy boot stocking patterns, then you can complete your collection, and you’ll have all next year to do that embroidery! I was simply too busy making stuff for other people this year to get my own stuff finished. These two stockings make the 8th and 9th annual stocking patterns, which means that the 2017 stocking pattern will the the 10th annual, and I have big things planned; I don’t intend to be late next time. The pattern for Kate and Colby can be found in my Etsy shop in both a printed and a PDF version. Love them! Especially the “Kate”! 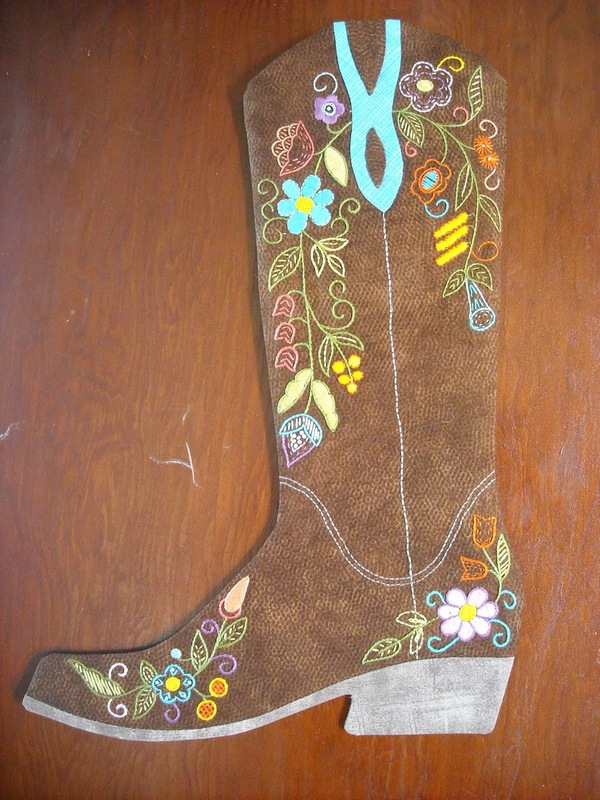 I’m about the farthest thing from a cowgirl, but I love these! They are just darling! They are really well designed…. Woohoo! I’ll make Colby for my husband. 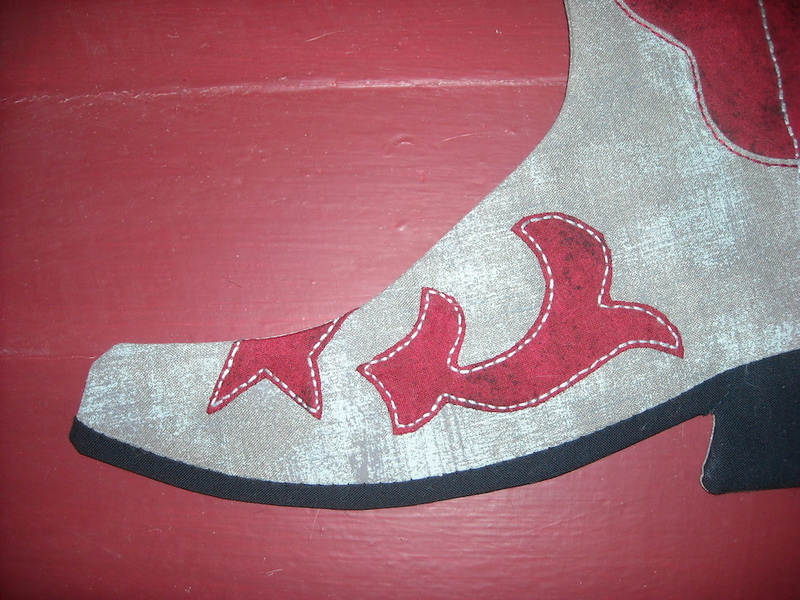 The star is perfect, as he’s from Texas! How fun they both are! Thank ya kindly, Ma’am.